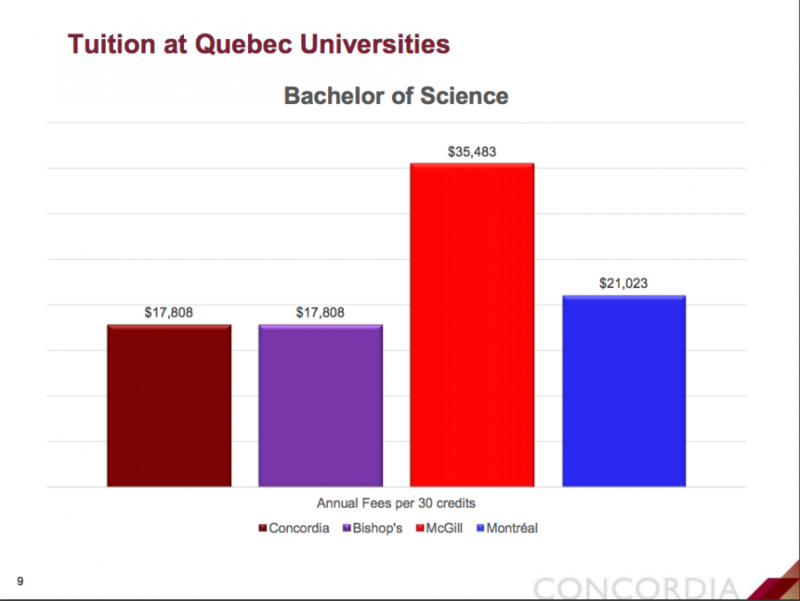 The proposal for Concordia’s cohort pricing plan for international undergraduate students in deregulated programs was made public Monday morning. 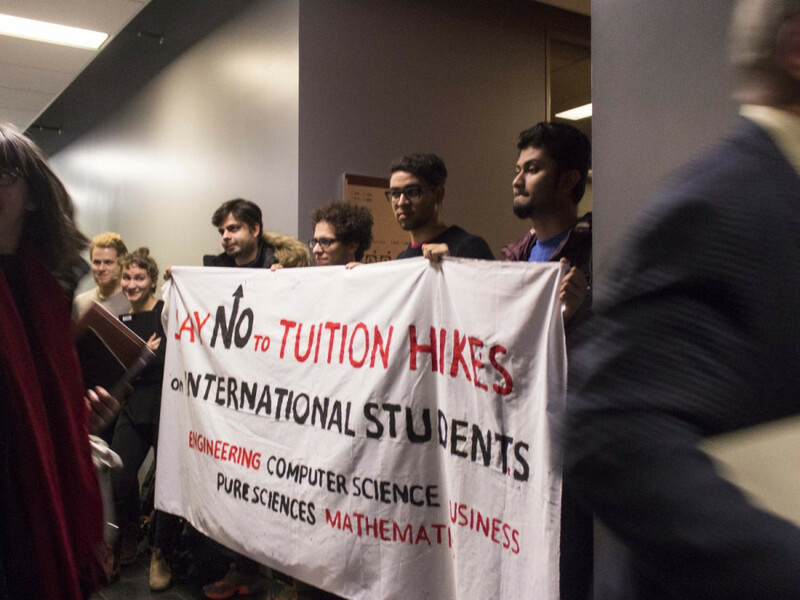 The Concordia Board of Governors will vote Wednesday on potential tuition hikes for students in certain deregulated programs. In 2008, the Quebec government deregulated engineering and computer science, business, science, mathematics and administration. 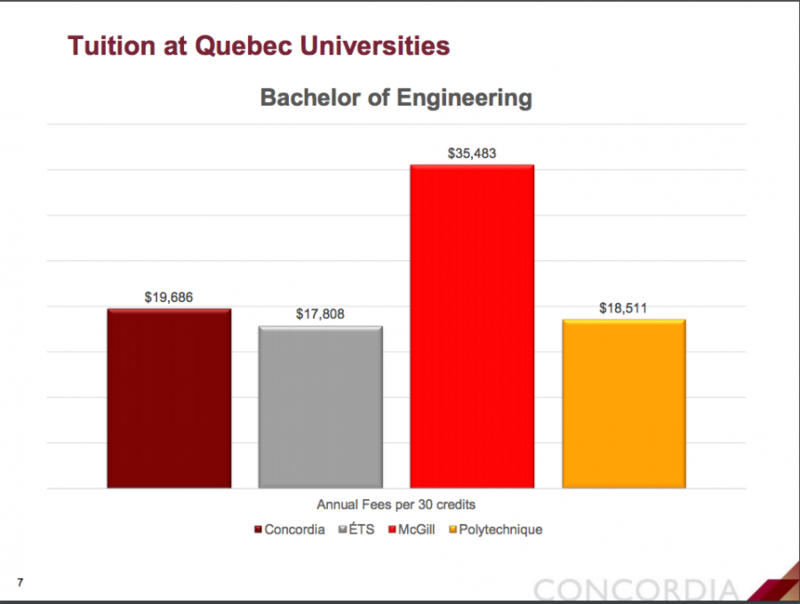 If the plan were approved, starting next year, incoming students in engineering and computer science would pay tuition rates nine per cent higher than they are now. New students in business and science would see an increase of about seven per cent. They are toting stability as one of the benefits of cohort pricing. The proposal states they found that international students find guaranteed tuition to be a key factor in choosing a university after a series of surveys conducted in 2012, 2014 and 2016. The document also reasons that higher tuition rates increase the perceived prestige of the institution, keeping the university competitive. 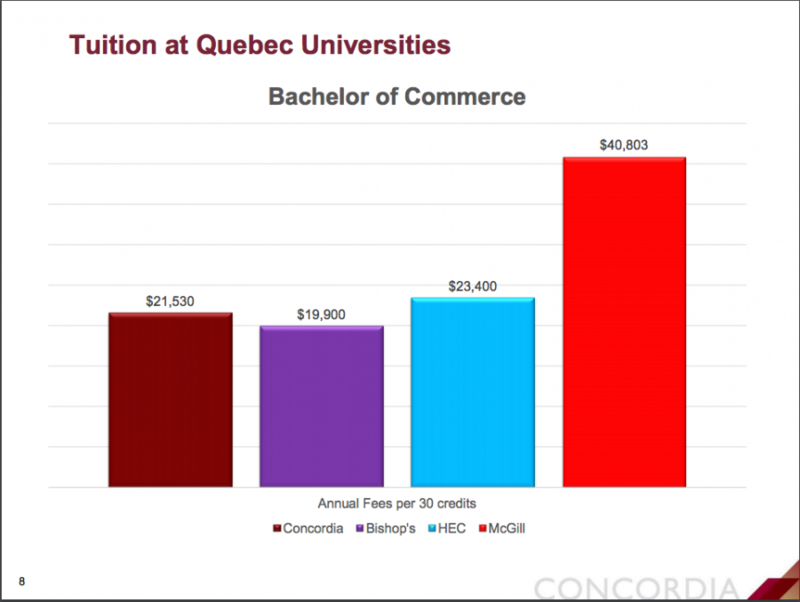 “I think students care much more about being able to go to university than the prestige they may get based on how much they’re paying for it,” said Concordia Student Union representative Lucinda Marshall-Kiparissis. “There are a myriad of ways for the university to advertise the quality of its programming beyond deciding that if it’s more inaccessible, than it’s more prestigious or elite. It’s a mind boggling argument,” she said. Kiparissis also explained that since the documents were released, the CSU has been trying to build projections as to what increases can look like for future cohorts. She also pointed out that these increases are comparable to what students protested against in 2012. The Board of Governors meeting is at 4:00 p.m. on Wednesday, Dec. 14. An observer’s room has been set up in MB-1.210 as non-governors are barred from the meeting.